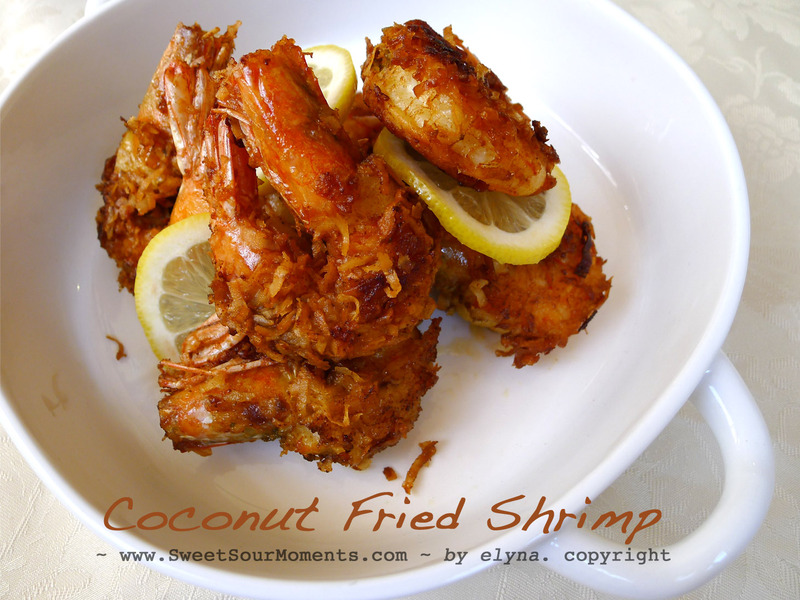 I made this menu just because I wanted to finish up the sweet coconut flakes in my fridge. It is a left over from baking and had been sitting there like forever. 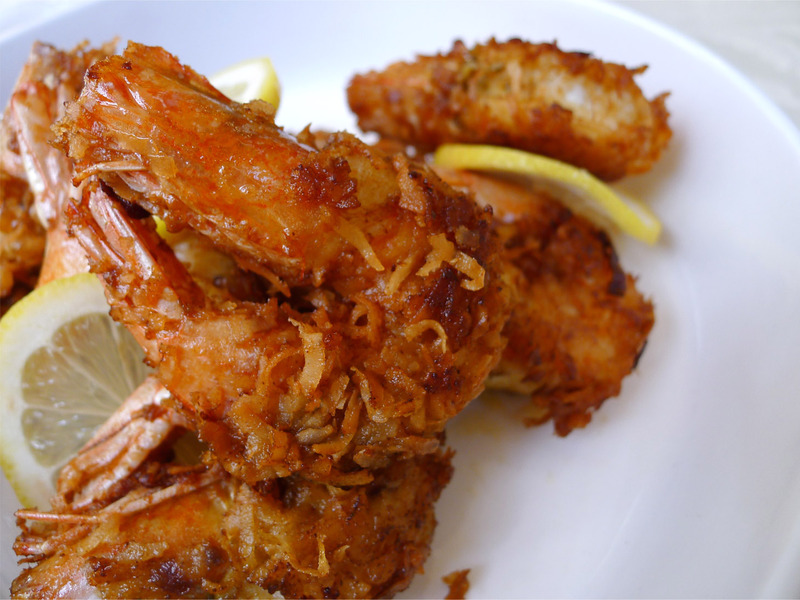 This is very simple and almost no fail menu, the shrimp itself is very tasty so you will not really mess it, even with basic salt and pepper seasoning this will still be great. 1. 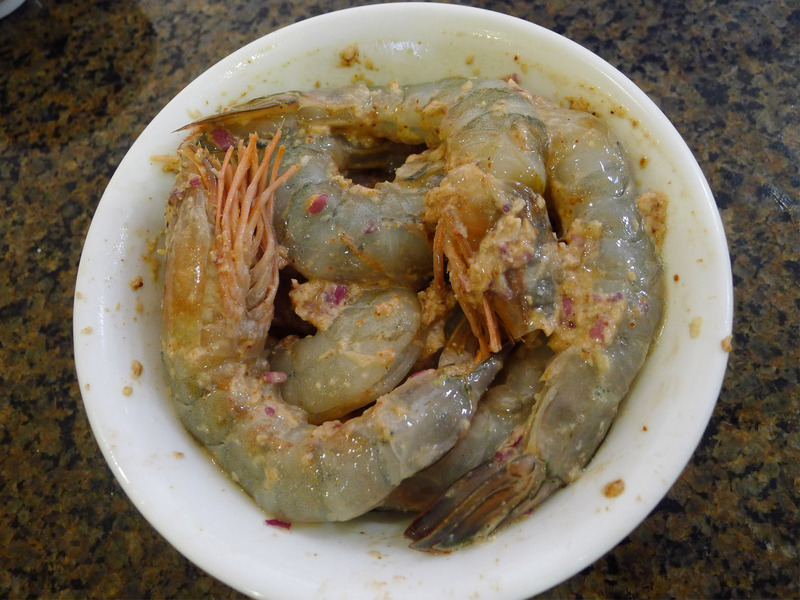 Prepare 2 C big shrimps, peel off the shell. Mine is like 4″ – 5″ long individually, I left the tail and half part of the head. 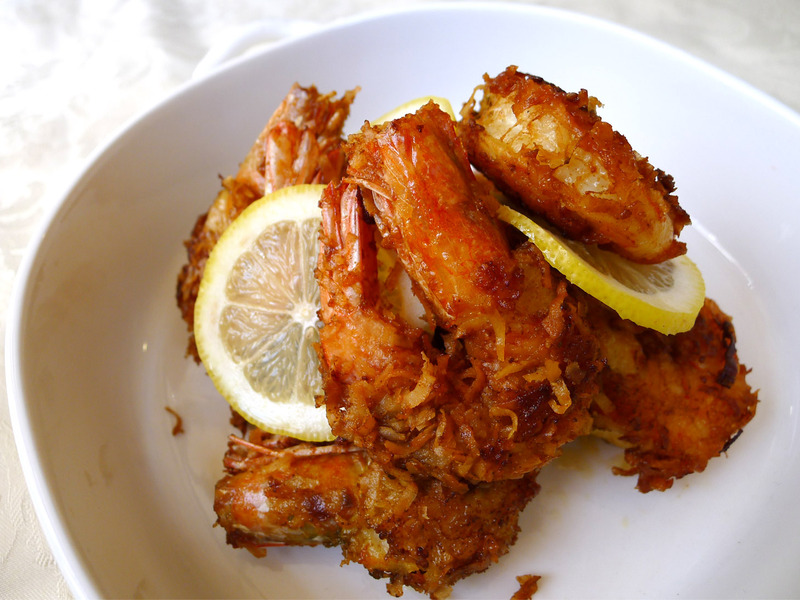 Marinate with 2 tbs of lemon juice for 5 minutes. Ground 2 cloves of garlic, 2 shallots, 2 candlenuts, 1/2 tsp salt and 1 tbs coriander, mix with 1 beaten egg white. 2. 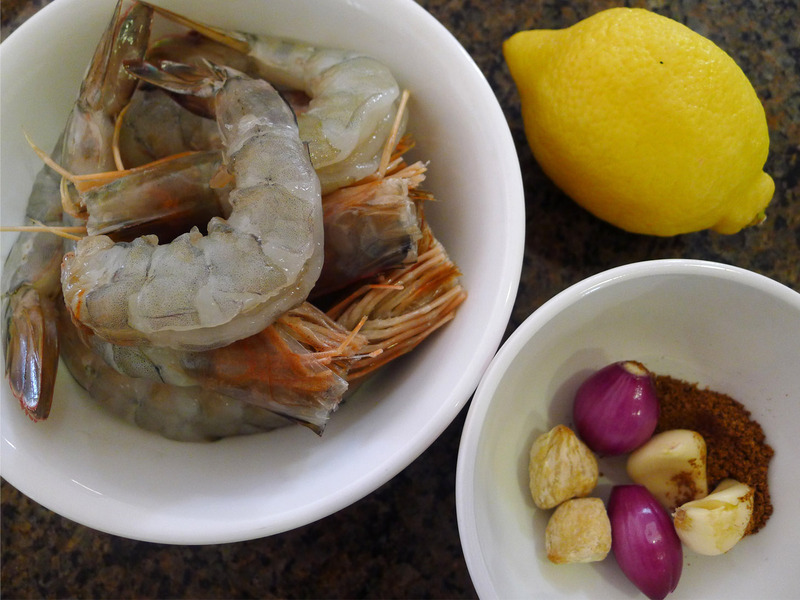 Pour the seasoning into the shrimp, marinate for 15 minutes. 3. 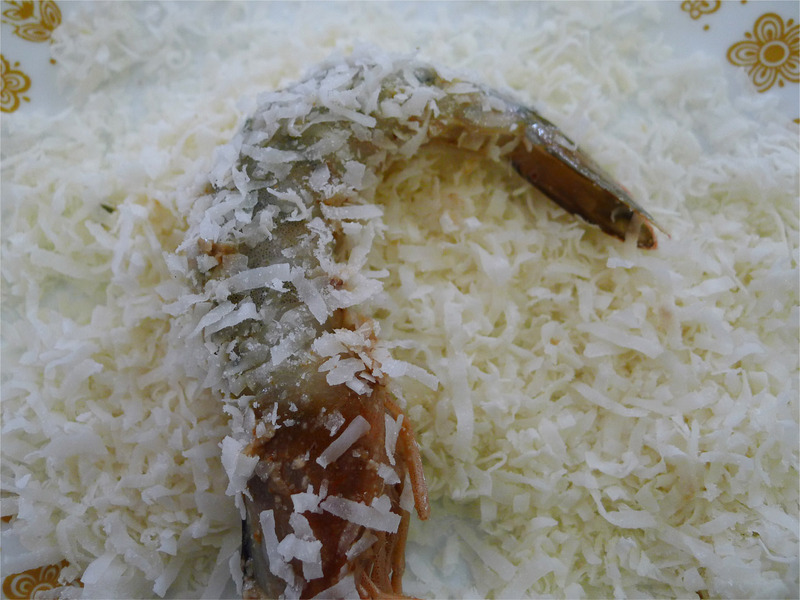 Roll the shrimp onto sweet coconut flakes, press to get it fully coated, fry in medium heat oil. 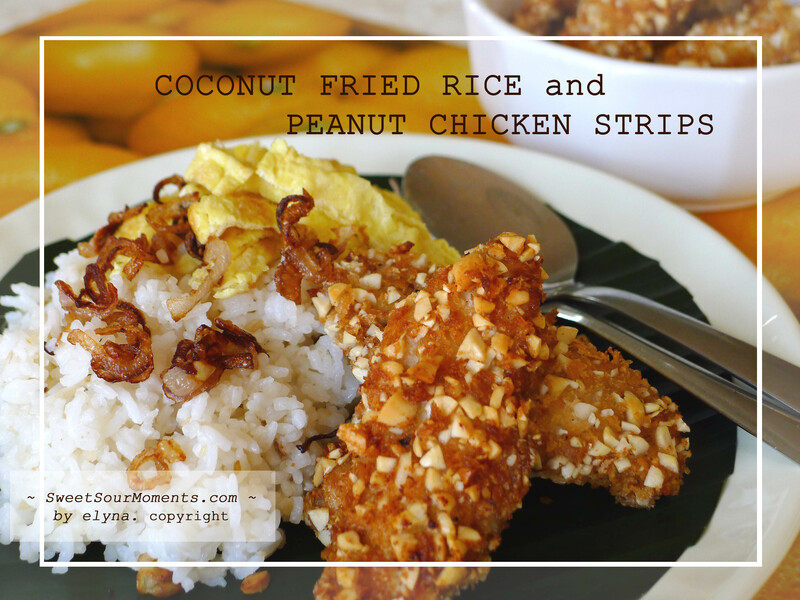 Last week I made this shortcut version of what we call “nasi uduk/nasi lemak” in Indonesian. This popular dish basically is rice steamed in coconut milk with lemon grass, bay leaves, pandan leaves, and other herbs ( which details I don’t know because I’ve never made it ). It is also popular in southeast asia region particularly Malaysia as both share a close culture. My shortcut version is to make fried rice with coconut milk instead of steam the rice together with it. It may sound complicated, but actually very simple. 1. 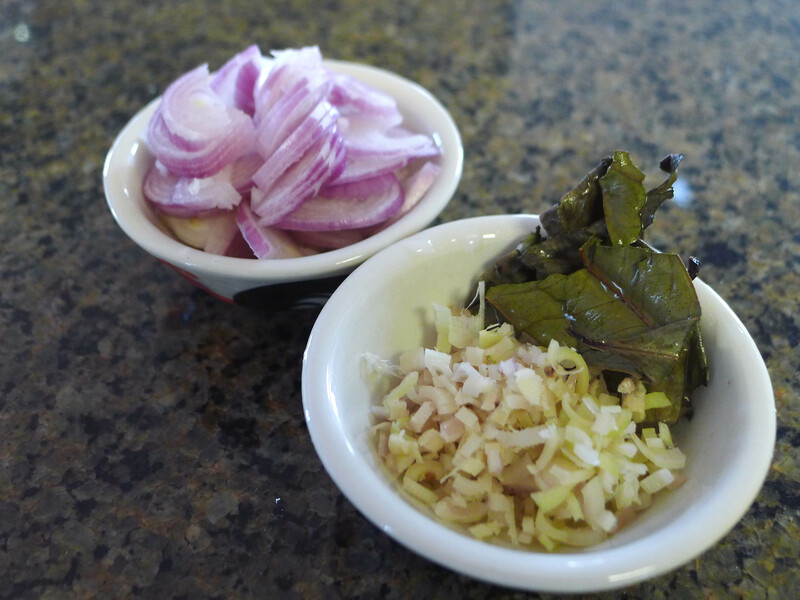 Finely mince 3 cloves of shallot and 2” length of lemon grass. 2. Fry the shallots in 3tbsp oil, set aside. Keep the oil in pan. 3. Stir fry the lemon grass in the oil for about 2 minutes. 4. Add 3 cups of steamed rice. 5. Add 3 tbsp of coconut milk ( canned one ) and 1 bay leaf keep stirring until well incorporated, season with salt. 6. 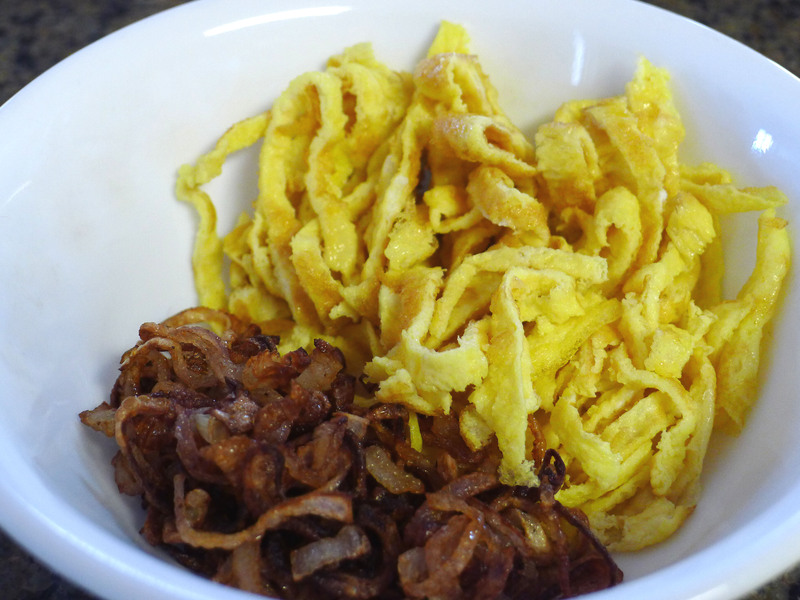 Sprinkle the top with fried shallots and eggs slices ( optional ). 1. Cut 2 small boneless chicken breasts into strips ( I use the size of organic chicken, there is a significant difference in size compared to the non-organic ). 2. Season with 2tsp of salt, 1 tsp of coriander, 1 tsp of pepper, leave it covered 10 minutes in fridge. 3. 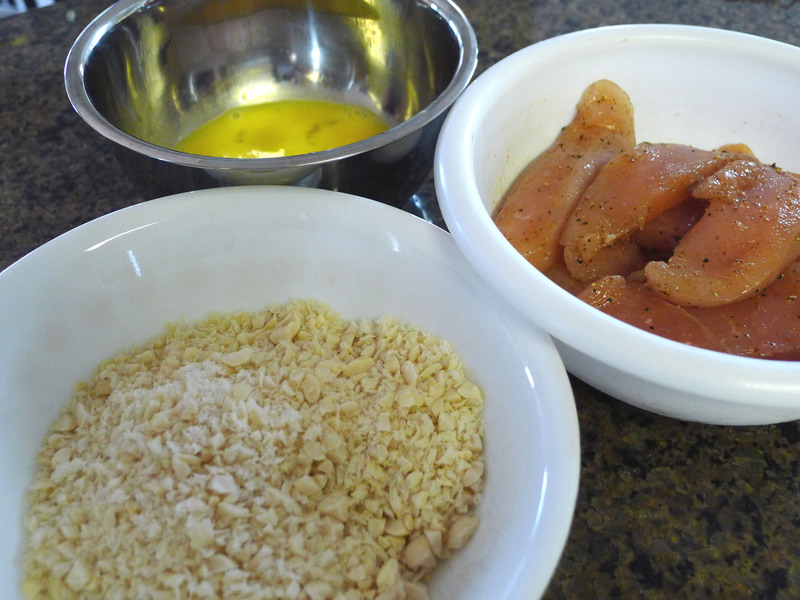 Mix 1/2 cup of crushed peanuts and 1/4 cup of breadcrumbs. 4. 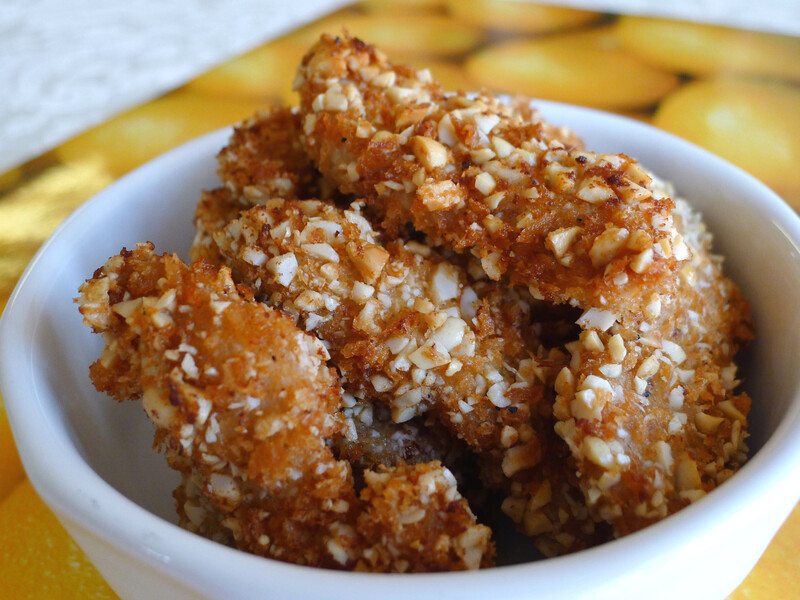 Dip the chicken strip in lightly beaten 1 egg, put into peanut mixture to cover, then fry in medium hot oil until golden brown.